Interchange fee is a set of fee, also called as wholesale processing fee, that merchants pay to process credit card transactions. These fees are fixed by card associations like Visa, Mastercard, Discoveretc and are split between them and the issuingbanks. They account for majority of credit card processing fees. Also, it’s not negotiable and the costs are fixed across the board for all merchant services providers and merchants, big or small. How much is Interchange fees? There are several hundred different interchange fees and are usually made of two different components. A percentage of sales amount and cents. For Example. Interchange for Visa Signature Preferred is 2.10% + 0.10. Defined by MCC code. Supermarket, retail, service station, non-profit etc. Card present: These are transactions where the card was present and swiped using an electronic device. Usually at brick and mortar merchants. Card not present: These are transactions that are manually entered either by the merchant on an secure portal or by customer on an ecommerce site. Is it a credit or debit card, rewards or without rewards,personal, corporate or small business. Honestly, all these different rates are confusing, but if you rather know them, they are listed below. To begin with, it’s one of the fairest merchant services pricing model for merchants. We here at Onesto are all about transparency and only offer Interchange plus pricing or Flat monthly fee pricing. We will help you choose the right pricing based on your business. What are NABU fees or Card Association Fees? Besides Interchange fees, card brands levy a certain percentage of sales amount as NABU (network Access Brand Usage) fees, aka Visa Acquirer Processing Fee (APF) or MasterCard Network Access fee in US. These fees are Not marked-up, at least, by us and goes directly to card associations. Again, just like interchange fees, they are not negotiable! Debit Assessments 0.11% of debit card volume and $0.0155/transaction. For a $20 debit sale, Visa takes about 4.1 cents. Zero Floor Limit Fee This $0.10/transaction fee is assessed when a settled transaction can’t be linked to a proper authorization. Misuse of Authorization Fee This $0.045/transaction fee applies to all authorized transactions that do not have a matching settled sale. Credit/Debit Assessments 0.105% of card volume and $0.0185/transaction for all sales. 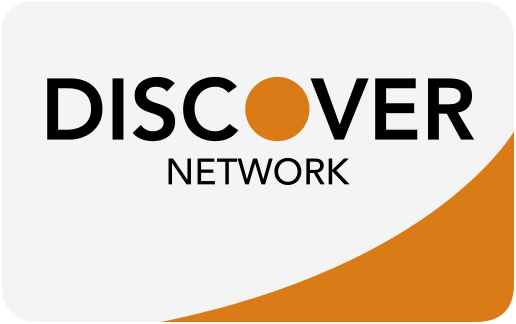 For a $100 sale, Discover takes about 12 cents. International Assessement This 0.40% fee applies to any cards you accept from outside the US. Tiered Pricing, why it’s not the best pricing? Tiered pricing is the one of the most prevalent and least transparent type of merchant processing fee structure. It’s expensive and is used by processing companies to hide the actual wholesale cost, which in turn, helps them maximize their profit margins. This type of pricing sets a precedent for many other hidden fees plaguing credit card processing companies. In short, tiers are different categories and like buckets. Most commonly, they are split into 3 buckets, each assigned different percentage. Since there are over hundred interchange fees based on the card brand, card type and business MCC code, each merchant service providers desides which interchange category goes into specific bucket. It varies from company to company and there is no way for us to find out. An agent walks in and offers you 1.69% + $0.10 besides the usual fees. What that really means is, they will charge you 1.69% +$.10 only on “Qualified” transactions. And what makes a transaction ‘Qualified”? A set of rules fixed by the processing company that neither you nor your sales agent will know. The table below gives an example of how a processor might organize nine common Visa interchange categories under a tiered pricing model for a business that swipes most transactions. Actual interchange categories and fees are listed on the left, followed by the processor's tiered rates in the center, and the markup the processor would earn on each transaction is on the right. As you can see by this example, interchange rates are substantially lower than the processor tiered rates, and the processor's markup varies widely depending on which tier the processor uses for each interchange category. To simplify it further, let us give you an analogy of dollar stores. You ever walked into a dollar store tempted by a big “99 cents store’ sign? Only to find out there is only a section of store with products marked at .99 cents and the rest at much higher?.Similarly, the tiered rate quoted by the sales agent is just a teaser rate to get you working with them so they can charge you more on the rest of the interchange categories. Here at Onesto, we never set our customers with this type of pricing. Only interchange plus pricing or flat monthly fee pricing. FANF fee stands for Fixed Acquirer Network Fee and is directly accessed by Visa and the amount varies based on how your business accepts credit cards – online (card not present) or in-person (card present). The fees DO NOT apply to non profits with MCC code 8398 and we at Onesto never mark-up these fees. The Payment Card Industry Data Security Standard (PCI DSS) is a set of requirements and framework that has to be followed by ALL companies who process, store or transmit credit card information, to maintain secure processing environment. Yes, PCI compliance is required by ALL the merchants, no matter how small their processing volume is. However, its not a complicated process and we will help you get your compliance done in the most efficient manner. Our cost is $6.60/month, which we pass on to merchant without any markup. If you choose NOT to be PCI compliant, you will be accessed a fee of $19.95/month. We highly suggest you get the compliance done to secure your transaction environment. Is there a closure fee? No. We do not charge any closure fee. If you don’t like us, for whatever reason, you have the right to fire us. Why Onesto and how we are different? Onesto was born out of frustration. We hated how merchants were cheated and lied to just because they do not understand how equipment pricing and merchant services work. We decided to have a completely radical business approach. An approach built on absolute transparency and honesty. We even named our company based on those ethos -Onesto Payments. Btw, Onesto means honesty in Italian. No Equipment leases – We never advocate or sell multiyear equipment leases like other companies. No Free terminal – Do you really believe in “free lunch”. Buying the equipment upfront is the best way to save money on processing fees. No Contract – If you are not happy with us, you have the right to fire us. Fair and transparent pricing – We only offer interchange plus and flat monthly fee pricing. We always kick the tiered buckets! Do you have local sale rep who can visit us? Sure, if you are within 75 miles of Zip code 08831. If not, we can still take good care of you from our office. 4. Confirm the transaction by selecting OK.
4. Terminal connects and prints a settlement report. Confirm the transaction by selecting OK.
Terminal connects and prints a settlement report. Select “Yes” to print customer receipt copy “No” to skip customer copy. What documents are required by Onesto? Proof of business formation – Either a certificate of formation, EIN (tax Id) document or business license. Once we have all the required paperwork, it usually takes 2 business days for your account to be setup. Once setup, we can dispatch your terminal the same day or email you your account details for integration with your ecommerce or POS system. Should I choose POS system or use standalone credit card terminal? If you prefer control ,efficiency and saving several hours running end of day reporting, Inventory , Payroll etc , you should choose newer cloud POS systems like ShopKeep, Clover, Talech. If you are happy with your current processor the way it is and are emotionally attached to your good old cash register, you should opt for standalone terminal – although we will emphasize you upgrade your equipment to new EMV compliant terminal like Verifone Vx520, FD130, Clover Mini or Ingenico or similar. What type of businesses do you support for payments? We cannot support high risk merchants because of inherent instances of higher charge-backs, business closures and fraud. Listed below is the type of businesses classified as high risk. Although, we do not support them, we can certainly put you in touch with some ethical high risk merchant services provider. When do my funds get deposited in bank? Depending on the time you batch out (settle). Funds are posted next business day for the full amount. Applies only to transactions done Monday – Thursday. Any transactions done on Friday get posted on Monday and any on Sat and Sun will get posted on Tuesday since the banks are closed on weekends. You funds are deposited within 48hr for weekday transaction. Transactions from Friday, Sat and Sun will be posted on Tuesday. What happens to my old merchant account if I get new account with Onesto? The old merchant account stays open until you, the merchant, send a cancellation request. Most of the merchant services company require a written cancellation request. We can consult with you and guide on how to properly cancel your old account. How are American Express transactions handled? 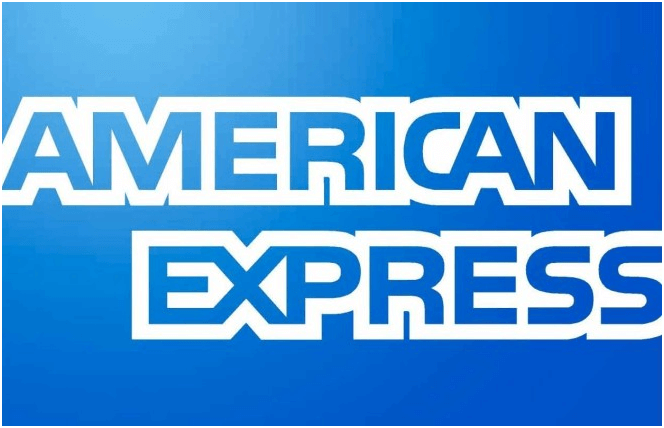 Since Onesto offers Optblue program from Amex, all the transactions, including American Express are bundled into one deposit with visa, mastercard, discover and deposited according to funding schedule. You do not get a separate statement for Amex. Everything is reported on the same monthly statement. Do I have to go thru social security check and agree to personal guarantee? Social number is used to comply with Patriot law in verifying the identity of the person applying for merchant account. Personal guarantee is to protect Onesto and processing bank in case business is not able to pay, for any reason, the month end processing fee and or any chargeback fees. Personal guarantee is NOT required in case of non profits and government accounts. Also, in case of established businesses, last years tax returns, last 3 months of bank statement or financials like P&L statements can be used in lieu of social security number. Do I have to sign any long term contract? Nope. We believe customer stay forever when you offer fair pricing and exceptional customer service. Contracts are irrelevant at that point. What is an EMV compliant terminal? EMV stands for Euronet MasterCard Visa and for you to be in compliant with EMV liability shift, you will need one of these terminal. These equipments are identified by a slot below the keypad where merchant can dip the chip cards. What are my choices for EMV compliant terminals? Ingenicoict220 Dual Comm –$250 plus $20 shipping. FD 130 – $ 350 plus $20 shipping To adjust tips with EMV transactions. Clover Mini - $450 plus $20 shipping. Modern terminal with on screen signature option. Where can I buy EMV compliant terminals? We can sell you EMV compliant terminals for fair price or you can either buy online and have us reprogrammed. Caution: Always buy from reputed online sellers only and make sure they are brand new and are not locked to a single processor. Do let them know the name of your processor before you place an order. Also, NEVER buy used equipment from Ebay. Do I really have to upgrade to EMV compliant terminal? Contrary to lot of misbelieve, it’s NOT a law but you should upgrade before you start seeing fraud happen at your store. The image below should give you a better understanding on why you should upgrade. What is NFC, Apple pay and Android pay? NFC stands for near field communication. As the name implies, the whole traditional process of accepting credit card, either thru swipe or chip, is eliminated. Instead, customers just tap their phone to NFC enabled terminal and transaction is completely in seconds. Apple and Android pay use the same technology but are restricted to their respective operating platform. 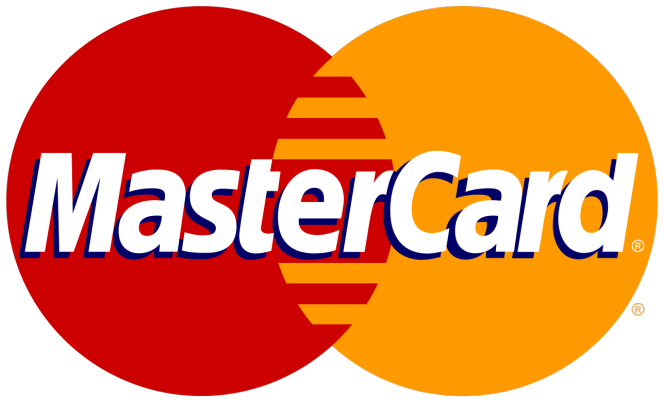 The process by which a transaction is approved by the issuer, or by Visa/MasterCard on behalf of the issuer. cardholder&#39;s credit limit at the time the request is made. is received for an estimated amount prior to the finalization of the charge amount. occur electronically via a credit card processing terminal or via telephone as a voice authorization. transaction processing. The BIN comprises the first six digits of a standard credit card number. A type of card transaction in which the card is not present at the point of sale for the magnetic stripe to be read. These are considered higher risk transactions. of the magnetic stripe on the back of the card. transaction with the funds debited from the cardholder&#39;s checking account. panel and used as part of the authorization process. used as part of the authorization process. checking account. During online debit transactions, the cardholder must enter a PIN. Only financial institutions may be members of debit switches. declined, the merchant must ask the cardholder for another form of payment. The automation of government benefits through electronic authorization, data capture and settlement processes. Plastic cards with magnetic stripes are used, eliminating paper benefits and coupon distribution. Method of scrambling data to protect a cardholder&#39;s personal information. normally used to provide specialized reporting. A number assigned by a lodging merchant for tracking a guest&#39;s charges. Track Two and Track One, which contains the cardholder name. and settlement. Similar to a Standard Industrial Classification (SIC), but more defined. The identification number or account number assigned to a merchant by the credit card processing company. the amount is debited from the cardholder&#39;s checking (DDA) account. services, i.e., health club memberships. A refund occurs when the merchant rebates all, or a portion, of an original transaction amount to the cardholder. Refunds are made to the same card that was used for the original transaction. Similar to a Credit. A face-to- face transaction in which the cardholder presents a card to the merchant to pay for goods or services. value cards, credit cards, loyalty programs and security access. purchase, cash advance or credit. Requires that all transactions receive authorization.